Serving Greater New London Since 1884! The Salvation Army’s New London Corps offers many programs and services to people in need. Here are details on a few of them. 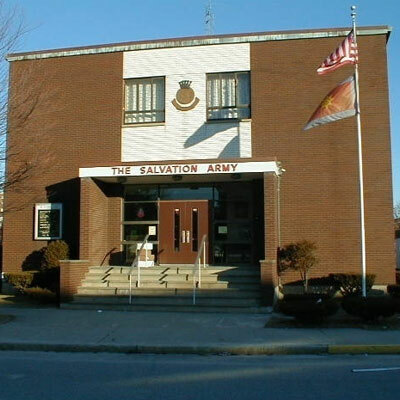 As funding permits, The Salvation Army provides rental and utility assistance to eligible individuals, referrals for assistance, or collaborates with other agencies to jointly pay one’s rental or utility bill/s. Available to eligible individuals. Please call to make an appointment. Assistance provided during the holiday season - food baskets, toys, holiday gifts, etc. 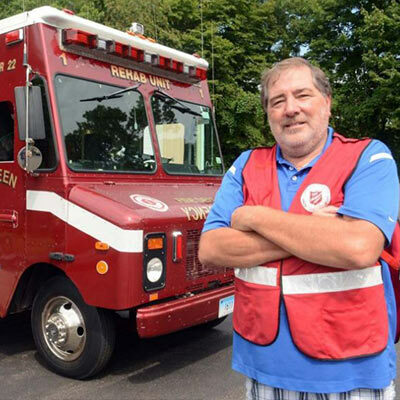 Emergency disaster response that goes directly to the disaster to offer relief. Providing a safe, structured, affordable, and fun day camp, offering unique opportunities for learning. * Go Forth Youth Program Coming Soon. Mon – Thu - 9:00 a.m. - 12:30 p.m. & 1:00 - 3:00 p.m.
Fri - 9:00 a.m. - 12:00 p.m. Serving: Center Groton, East Lyme, Groton, New London, Niantic, and Waterford. Whether you contribute financially, donate goods, give your time, or support us through social media, with your help, The Salvation Army in Greater New London can continue to reach out to individuals and families to offer a hand-up, not a hand-out. Please contact us if interested in supporting our efforts or if you are in need of assistance.